For two weeks only, Paul Gauguin Cruises, operator of the highest-rated and longest continually sailing luxury cruise ship in the South Pacific, the m/s Paul Gauguin, is offering incredible savings on select 2013 voyages in Tahiti, French Polynesia & the South Pacific when booked between October 15 and 27, 2012. Guests will benefit from exceptional savings of $800 to $4,300 per person off previously advertised rates while enjoying the highest standards of luxury, quality, and service in one of the most exquisite destinations in the world. 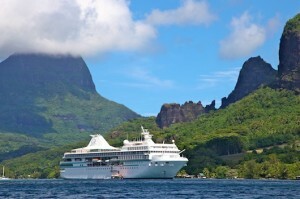 SALE: Book select sailings on the 7-night Tahiti & the Society Islands, the 11-night Cook Islands & Society Islands, or the 14-night Marquesas, Tuamotus & Society Islands and save $800 to $4,300 per person in addition to 50% off standard cruise fare and included airfare from Los Angeles. For reservations, contact a professional travel agent, call 1-800-848-6172, or visit www.pgcruises.com.